Hyperdimension Neptunia Re;Birth 1 is a remake of the original Hyperdimension Neptunia, which improved on the game in just about every way. 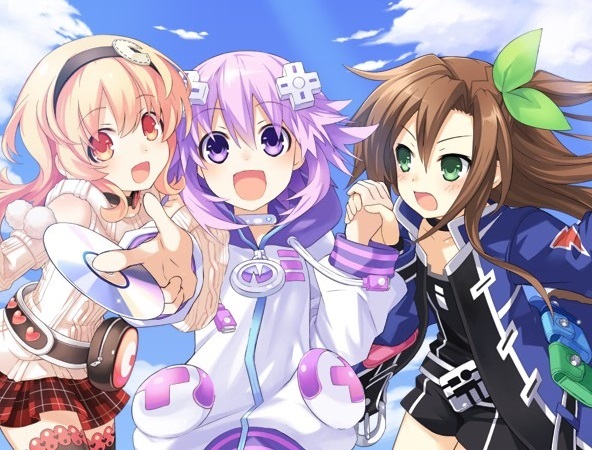 The original Hyperdimension Neptunia on PlayStation 3 was, simply, not a good game, but by the time Compile Heart had created Hyperdimension Neptunia mk2, the team had had hit onto a gameplay formula that really worked. So, when it came time to release some PlayStation Vita games, Compile Heart decided to remake the original to bring it in line with the sequels. As you can read in our review, that strategy worked. That remake was then ported to PC, and now it's coming to PlayStation 4. This will all be reported in the latest issue of Dengeki - a Japanese gaming publication - and there's no confirmation on the game making it out west at this stage. But we all know it's coming out west eventually. More Nep Nep on the PlayStation 4 can only be a good thing... especially if this leads to the other Vita Hyperdimension Neptunia games also getting PS4 ports.